The 2017 Transgender Information and Empowerment Summit (TIES) is just around the corner on October 21, 2017. We’ve put together some useful information about what the conference means and what you can do there! Q: Who puts the event on, and who attends the event? How many years has the event happened? 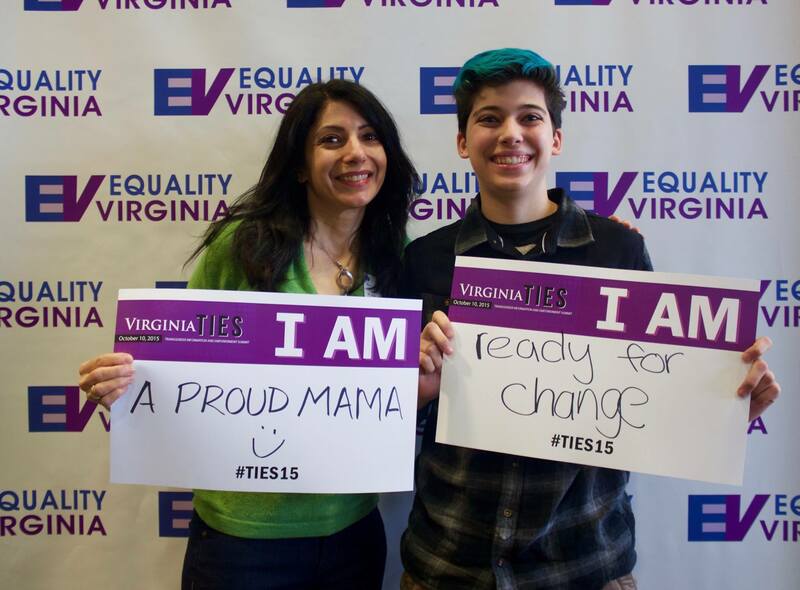 A: TIES, or, the Transgender Information and Empowerment Summit is a conference organized by Equality Virginia for transgender and gender nonconforming individuals to come together with family, friends and allies for a day of workshops, empowerment and information sharing. With its 4th year around the corner, preparations for the event are in full swing with an expectancy of over 300 transgender and non-conforming individuals, along with over 100 allies. Q: What are the kinds of organizations and services that are there? Are there organizations and services we might not expect to be there? A: There will be a wide variety of organizations and services present at the conference such as the Transgender Assistance Program, Virginia Counseling, Planned Parenthood, gc2b Transition Apparel, Trans People of Color Charlottesville, PFLAG, TransLatin Coalition, the DC Area Transmasculine Society, and many more. The presenting sponsor for the event is Capital One. LGBT Life Center will also have a table at the event, so be sure to stop by and check us out! Q: What kinds of workshops can be expected at the event? A: Throughout the conference, there will be lots of different workshops going on. Visitors and attendees can expect to see workshops covering topics everywhere from how to approach transitional surgical procedures, the non-binary experience, coping with trauma, transgender rights under federal law, ways to be strong, and how to be an understanding and supportive ally. Read more in-depth descriptions of the workshops that will be happening during TIES! Q: Are there volunteer opportunities available and open to the public to help out the event? A: Yes. Teachers, family members, partners, neighbors, friends, LGBT organizations, allies and youth are all encouraged to volunteer. These opportunities are open to the public and everyone is welcome. To sign up, visit the TIES website and fill out the 2017 Volunteer Sign-Up form. Q: Why is an event like this important to the LGBTQ community and beyond? A: This event is extremely valuable and important to the growth and unity of the LGBTQ community as well as its supporters. Often times, trans people feel isolated in life, whether it is within the community or in their own personal spheres. Conferences such as TIES help to foster a sense of healthy community and support by bringing not only trans and gender non-conforming people together, but also allies of the transgender and LGBTQ communities as well. It is a way to unite, learn and grow while meeting other members of the same community. Q: Are there transportation options available to get to the TIES Conference? A: YES! LGBT Life Center is taking a van, and we have a number of seats available. Please contact us by calling 757-640-0929 and asking for Doris McNeil or by emailing us at info@lgbtlifecenter.org.